How To Recover Administrator Password ? If you will forget your administrator or else you how-to-delete-the-data-permanently-from-hard-drive/">want to steal the administrator password what can you do?. You know that you have to format the system and to reinstall the operating system in order to gain access to your how-to-stop-automatic-installation-of-internet-explorer-8/">Windows admin account. 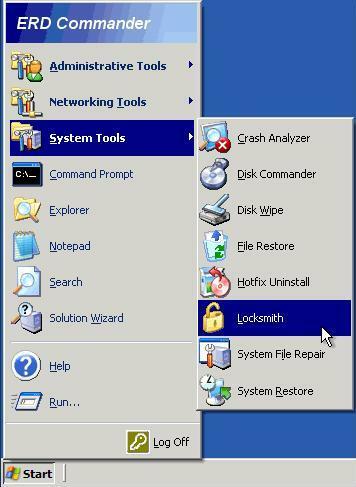 Now you don’t have to format the system, you can get the password without reinstalling the Operating system. To panterasoft-jpg-can-recover-the-images-even-after-formatting/">recover the password you can use ERD Commander, which is available in Microsoft’s site or other e-mail-recovery-software-to-find-your-deleted-mail/">sources you know. how-to-change-the-username-and-passwords-of-router/">Want to change username and passwords of Router ? •Restart your system to enter the BIOS setup. •Change you boot sequence preference to boot from ultra-slim-external-netbook-friendly-dvd-burner-i-o-data-rocks/">CD/DVD. •Then insert your ERD Commander Bootable CD. •As soon as your system starts booting it will ask you for fastest-operating-system-from-windows-boots-in-15-seconds/">Windows Installation, choose appropriate installation for which you need to reset password. 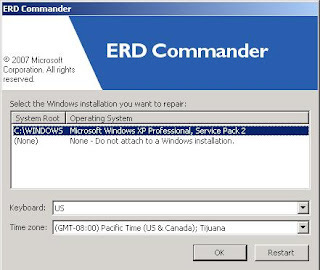 •Once ERD is loaded it will provide you an interface similar to Windows Click the START button. 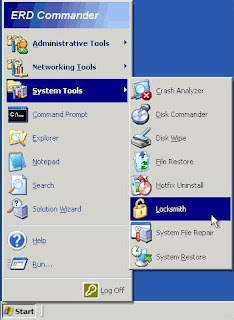 •Then choose message-box-toy-lets-you-create-fake-windows-error-message/">System Tools and then Locksmith. •Once you have chosenhow-to-recover-the-deleted-images-from-digital-camera/"> Locksmith choose the admin account for which you want to reset the password. 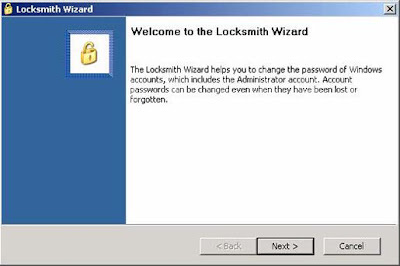 •Then enter your new password and close, Click Start button once again and restart the PC. •This is all you have resetting-the-files-and-folders-virus-cant-escape/">to do.